Things have been quite busy this week for Creature Quest, the collectible card game by VC Mobile. 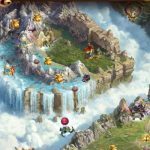 The game, in which players collect dozens of creatures that you can fight and adventure with, got a sizable content update this week that gave the Battle Tower a serious makeover, added new competitive options, and even new creatures. 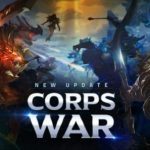 Now, VC Mobile is topping all of that off with a series of spring-themed events that will run through the end of April. 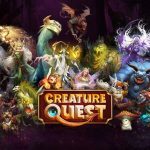 Creature Quest is kicking off the festivities with its Spring Fling check-in event. From now until April 20th, you’ll receive a special reward for signing into the game. Creature Quest also introduced a new quest to welcome in the warm weather. The Poached Eggs quest sees you helping the Spring Bunny track down the devious Sandworm – a legendary and fierce creature that’s making its first appearance in the game. The Sandworm’s been breaking Easter eggs, and it’s your job to put a stop to it. If you’re successful, you’ll get the chance to capture new rare creatures like the Goliath Beetle, Contenderoo, or Kobold Apprentice. 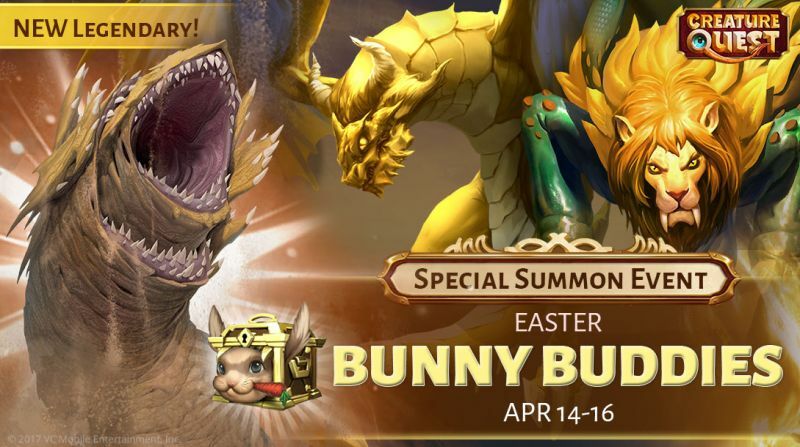 There’s even more opportunity to reap big rewards in the Easter Summon Event from today until April 16th. Each Diamond Summon has the chance of being a Bunny Box. These special boxes contain one of six Yellow Creatures. You may be able to win legendary creatures like the infamous Sandworm, the Chimera, or the Young Gold Dragon. 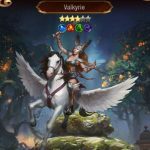 Bunny Boxes also hold epic creatures, including the Pegasus, Manticore, and Cockatrice. Creature Quest’s spring festivities are the perfect time to jump in if you’re looking to start a new adventure. You won’t want to miss out on these exclusive timed prizes.